Details about the finer aspects of Days Gone continue to emerge. The latest bit of news concerns the game’s map, which hasn’t previously been shown in any great detail. Now that’s changed, thanks to four new images shared by GameReactor. 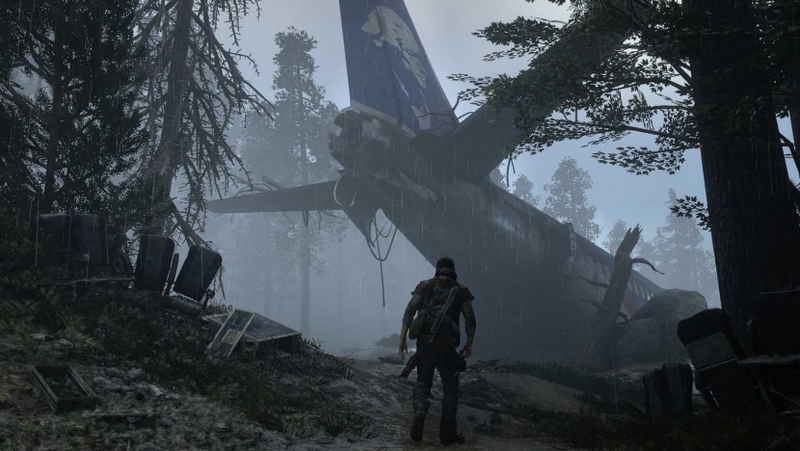 In addition to Days Gone’s map, the images tease the types of missions players should expect to encounter. The map itself appears to be large in size, with a fairly varied landscape. Based on the above images alone, the map’s topography will seemingly consist of lots of hills, cliffs, and canyons. In the gameplay and trailers shown, however, it’s also clear that towns, grasslands, forests, and more will shape Days Gone’s massive landscape. Also worthy of mention are the two missions that appear selected on the map images: “Bounty Hunter” and “I Remember.” The former seems self-explanatory, as its description notes that a tire iron must be returned to someone as proof of a kill. Whether this is a one-off side mission, or a mission type that players will complete a number of remains to be seen. The “I Remember” tag also warrants attention. While its status as either a main mission or side quest is also shrouded in mystery, the instructions do tease something of intrigue. “Chase down a NERO black chopper,” it reads. NERO (National Emergency Response Organization) in Days Gone is essentially a combination FEMA and the NSA. 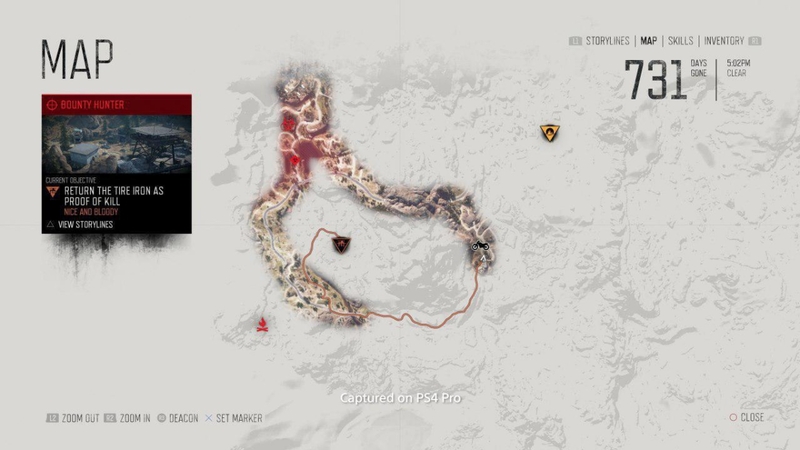 When exploring the open world, players will come across abandoned checkpoints and refugee camps that provide intel about what caused the destruction in Days Gone’s world. According to Creative Director John Garvin, players will most notably discover this information on their own. Yet, given the mission notes listed above, it seems that at least some missions will guide players down a particular path focused on NERO and pre-apocalyptic mysteries. PlayStation 4 gamers can begin exploring Days Gone when the title launches next month on April 26, 2019.